If you live in the Raleigh-Durham area, you know that the area comes alive in the summer with outdoor festivals, live music, great food and plenty to do. But Triangle natives would agree that along with its bustling entertainment and Southern hospitality, summertime in North Carolina means humidity and hot temperatures. Patio Deck Covers & Awnings – The first rule of staying cool in summer is to create shade, and there’s no better way to do this than to have a patio deck cover installed. 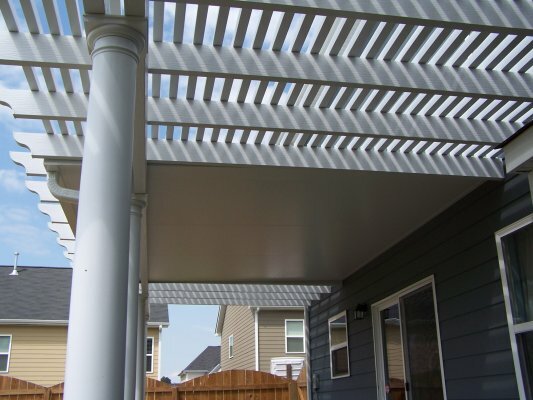 Another versatile way to create shade is to install an awning to your deck or patio. Many varieties are retractable so you can put them up to give you shade or protect you from the rain, and roll them in when you want some sun. Because of this, they come in handy all year-round! Pergolas or Arbors – For the yard or patio, there are also options like a pergola or arbor. These terms are often used interchangeably, although they are different. A traditional arbor tends to be a wooden structure with an arched, open lattice top. Vines can be grown on them to provide a shaded path in your yard. 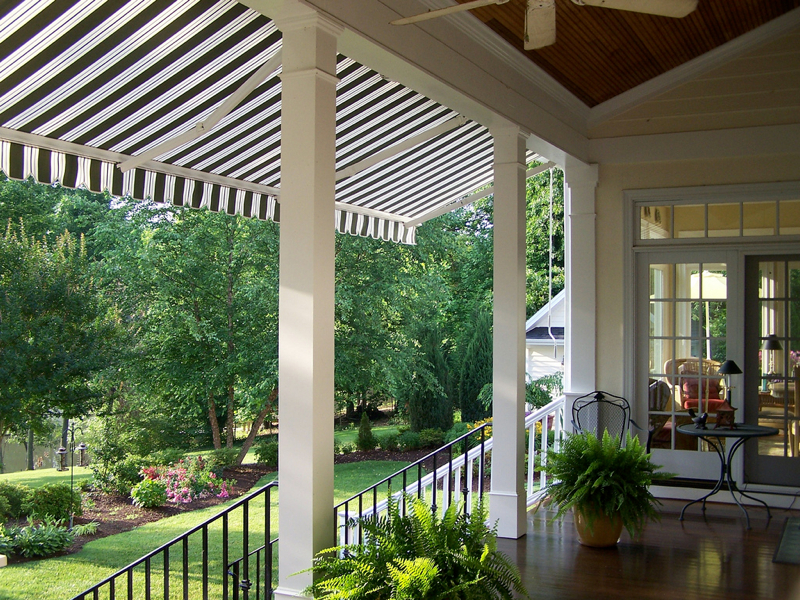 A pergola is a flat-topped wooden structure made with columns and widely spaced wooden slats to create an open top. Throughout the day, these structures create shade and beauty for those sitting underneath. Screened Porch – Less expensive than a full addition, a screened porch or screened room gives you the best protection from the elements (and bugs), while still allowing you to enjoy the outdoors in any season. 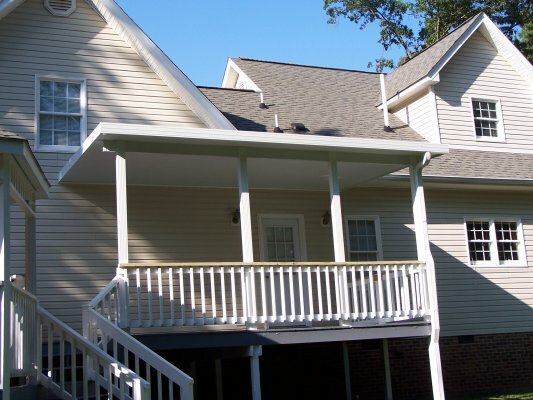 If you have an existing porch that needs a facelift, or want to build a new one, Gerald Jones Company can work with you to design the perfect structure for your lifestyle. You and your family will love spending time in your new custom designed screened room! 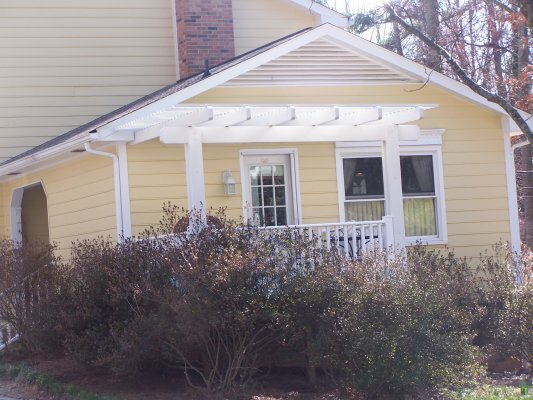 Gerald Jones Company has been a leader in home improvement in the Raleigh-Durham area since 1955. Our decades of experience helping families enjoy both the outside and inside of their homes more than they dreamed means we can handle any home remodel project – no matter how big or small! Give us a call to get a free estimate for your project so you can beat the heat this summer: (919)286-1700. This entry was written by Gerald Jones Company, posted on June 22, 2016 at 12:15 pm, filed under Uncategorized and tagged arbors, awnings, covered deck, home improvement, patios, pergolas, porch, Raleigh Durham, screened porch, Triangle. Bookmark the permalink. Follow any comments here with the RSS feed for this post. Both comments and trackbacks are currently closed.